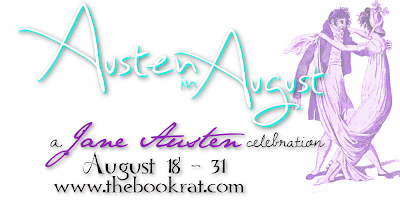 The Book Rat: Giveaway: Custom Jane Austen Woodwork, from Noe & Cindy! Giveaway: Custom Jane Austen Woodwork, from Noe & Cindy! Noe & Cindy joined us last week to offer up chances to win their books Mr Darcy Falls In Love and The Sun Also Shines for Me (which you can go enter to win here); today they've returned to share another of their Austen-loving outlets: custom Austen woodworks! They've offered up 3 sets of Austen woodworkings to 3 different winners, which you can see below. Check 'em out, leave 'em some love in the comments, and then enter to win to add these to your own Austen collection! Fill out the Rafflecopter to enter. You MAY tell me in the comments or on the form which you'd prefer to win, and I will try to take that into account, but preference is not guaranteed. Ends September 5th at 11:59 pm EST. Such talent and so whimsical! Thanks for sharing your talent with us, Noe & Cindy. I think I would prefer the art filigree best. That is fun that he can make you some lovelies. Woodworking is such a great talent to have. I like them all but my favorite is the Pride and Prejudice on the Darcy and Lizzy base. Such talented woodworking amazes me. Thanks again, Deborah, Noe's talent always amazes me too. I thought it would be easy to work on the scroll saw because it looks a little like a sewing machine - small saw blade that goes up & down like a needle and you push the wood through it. But when I tried ... wow, my piece moved all over the place! I wouldn't call Noe a perfectionist, but he has that artistic touch required to do this kind of work. And he gives that same kind of attention to his writing - I keep telling him he's getting better and better in his stories.